Story: Asbel Lhant learns the true meaning of friendship as he goes from child to adult and onwards to accepting his role as Lord of Lhant. When his best friend and king Richard is taken over by a lonely, misunderstood monster, the world is thrown into chaos and lies on the brink of destruction. 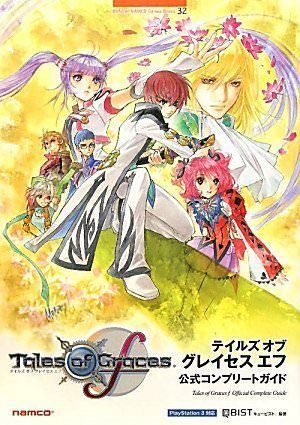 But through perseverence, strength, love and the power of friendship, Asbel and his group of family and friends are able to rescue Richard, Lambda and the world. 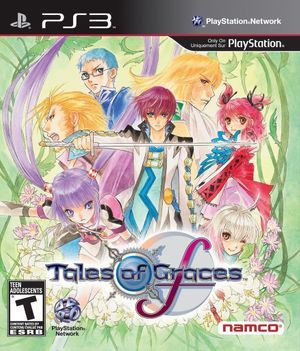 Setting: The world of Tales of Graces f takes place on the man-made planet Ephinea which is in reality the moon of the larger, natural planet Fodra. Ephinea is made up of three prominent countries: Windor to the east, Strahta to the south, and Fendel to the north. Fodra is a dead planet but still has explorable ruins and locations. In this world, eleth is the energy that composes all matter and powers life itself. Fodra is dead because its primary source of eleth--the Lastalia--stopped producing eleth. Ephinea, on the other hand, has an overflowing abundance of eleth. Contents: Gameplay guide and data, setting and character descriptions, glossary, illustrations, interviews. 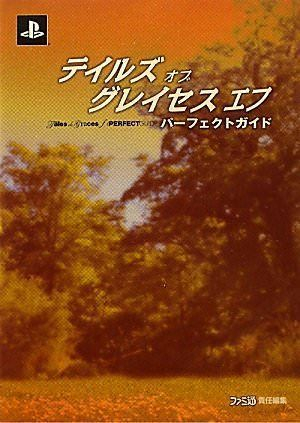 Contents: Gameplay guide and data, detailed setting and character descriptions, relationship chart, staff comments, glossary. Interest: The settings and character explanations are very detailed. The glossary is quite complete, and the staff comments interesting. 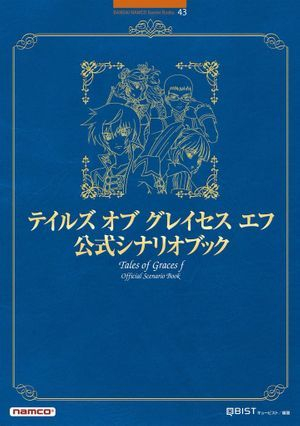 Contents: Game script, character and setting explanations, timeline. short story, interviews. Interest: Useful for checking something from the script directly. The explanations and timeline. The short story.